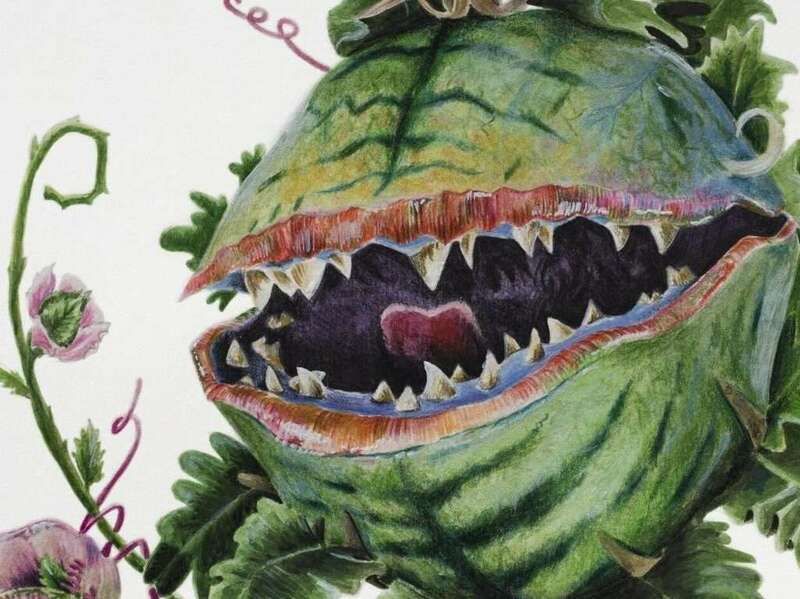 Hailing from Kepler-186f in the Plantae kingdom of the Milky Way galaxy, Spatium praereptor, commonly referred to as Audrey II (Audrey 2), “Twoey,” or “mean green mother from outer space,” is the only plant within its species. This carnivorous plant alien (palien/alieant? 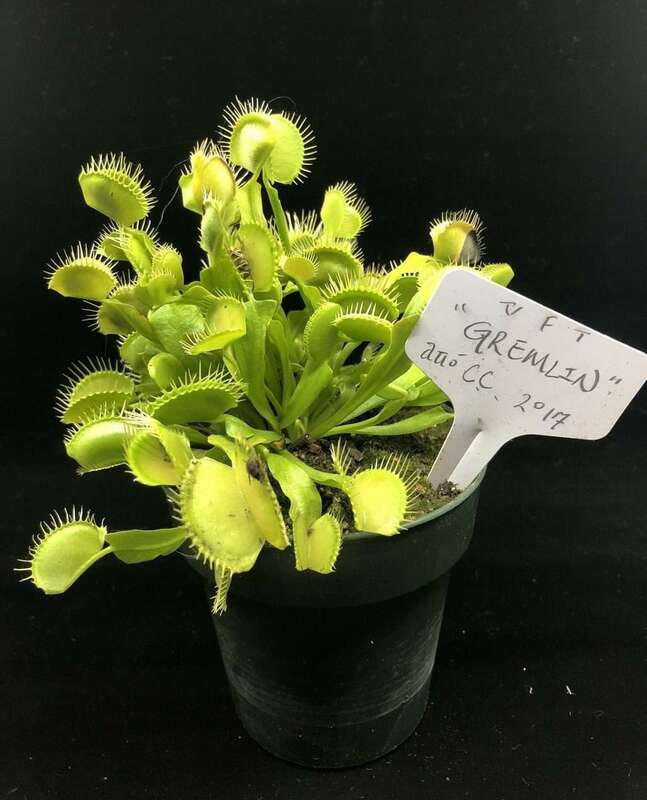 …we’ll just go with “plant”) has a unique set of known trapping mechanisms, employing high-mobility tendrils, a Venus-flytrap-like mouth lined with rigid teeth, vocalizations, and human psychology. Most notable is its ability to manipulate human emotion in order to lure and capture prey. During early stages of life, Audrey II is parasitic, requiring blood from a host gardener for survival. 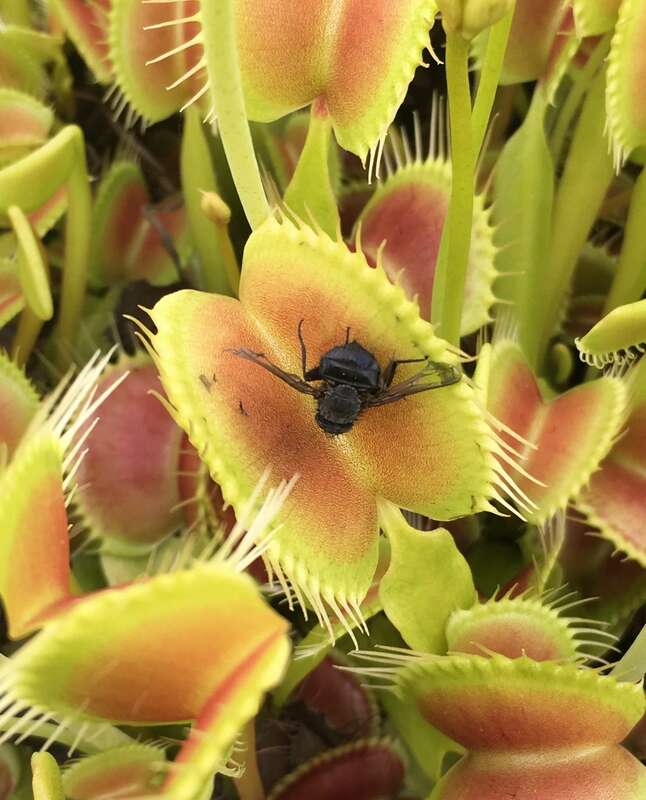 As the plant grows, it develops a more mutualistic relationship with its host, providing monetary enrichment and endowing social status in return for larger prey. 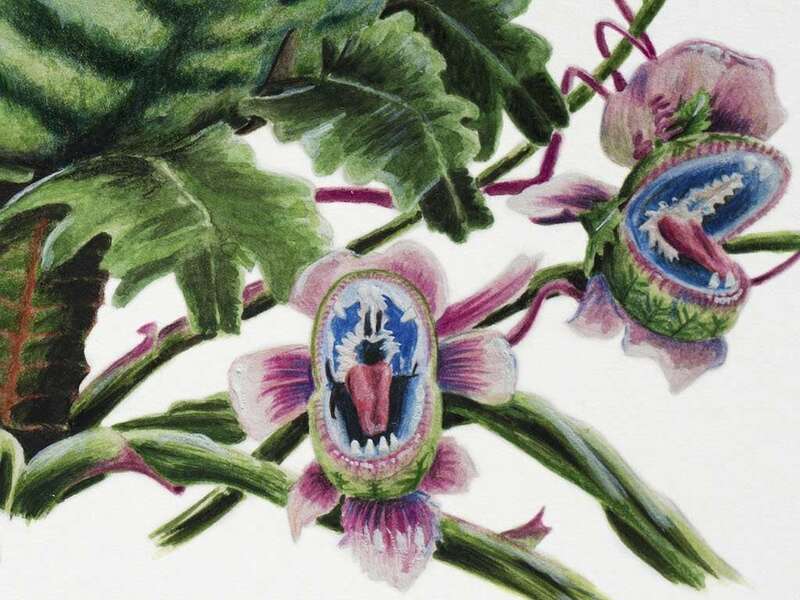 The plant is uniquely known for its vocalizations and a level of intelligence equivalent to or greater than that of the average gardener. 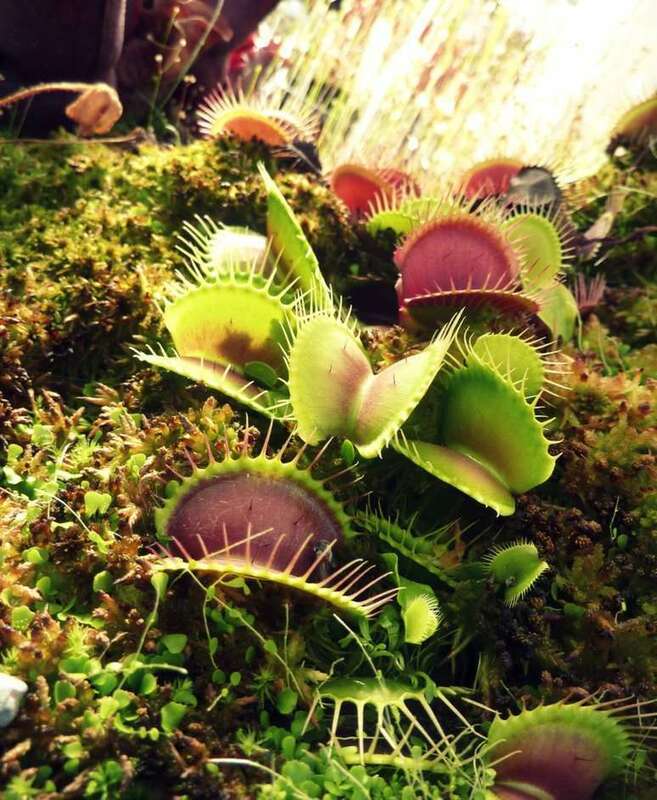 Audrey II was once mistakenly categorized as a freakish hybrid between a Venus flytrap and a butterwort. Some also thought it was the result of breeding a Venus flytrap and an avocado. I… don’t think that’s accurate. 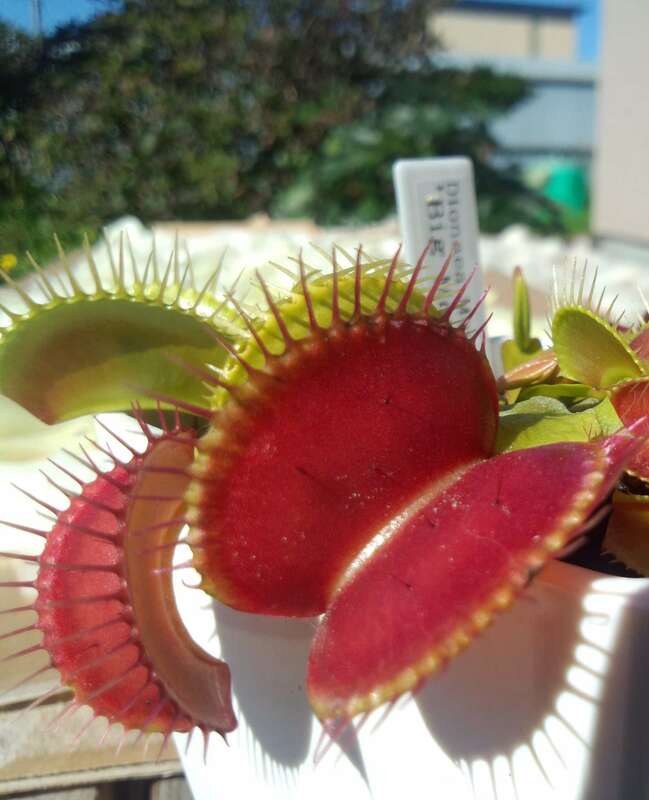 The trap of Audrey II leverages a unique combination of luring, ensnaring, and digesting mechanisms to feed its insatiable hunger. Audrey II deploys promises. It promises that, if you care for it, people will like you – a type of psychological lure for the timid gardener. It ensnares victims in a tangled web of highly-evolved tendrils and lies. But mostly lies. Audrey II plays one of two angles depending on the lifecycle of the plant:1. Sad puppy dog eyes: young Audrey II leverages drooping leaves, and a sad expression to drum up sympathy and encourage feedings.2. I’m cool, and by association you’re cool now, too: As Audrey II matures and grows larger, the fascination with their unique morphology grows, and brings with it a level of respect for the caretaker. This attention is addicting to the gardener, and can even lead to monetary windfalls if used as a marketing ploy.A type of co-dependence is established, with the gardener needing Audrey II to maintain her/his cool factor, and Audrey II requiring literal blood from the gardener. As Audrey II matures, it develops what can only be described as tendril arms. Like, literal grasping, fully articulated, gosh-dang vine arms. It uses these to physically grab prey, even while that prey is evading, and then stuffs it into a Venus flytrap-like mouth. 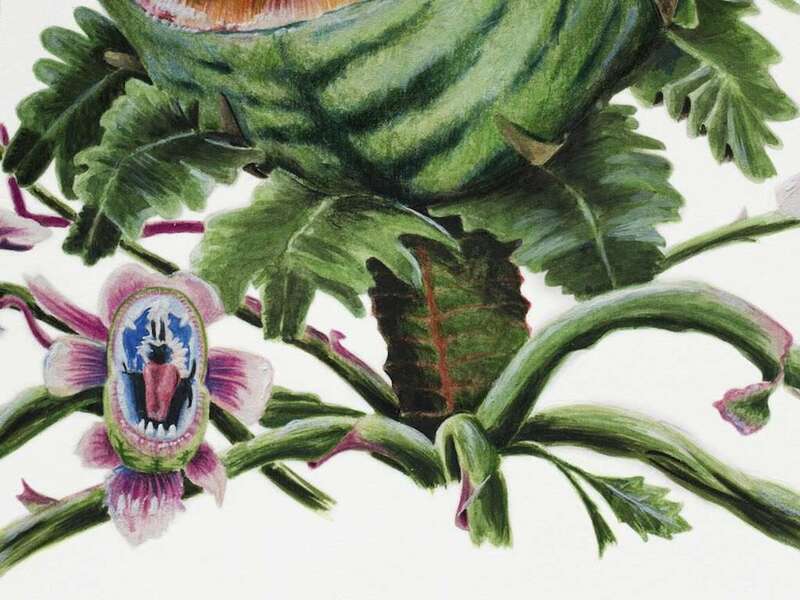 Audrey II’s mouth is bisected into two lobes with fully articulated lips, a dexterous tongue, and a single row of canine-like upper and lower teeth meant for spearing and gutting prey. The two lobes are hinged, much like a Venus flytrap’s and allow for opening, closing, and… uh, chewing.This morphology also allows Audrey II to form words and speak. It is unknown if the plant has a central nervous system or brain with language pathways, but, like, whatever… The dang thing talks. Audrey II has a fibrous root-like structure similar to a rhizome, but more flexible. It acts to absorb water and limited nutrients. Like other carnivorous plants, it has adapted to extract most nutrient requirements from prey. As a result, the root system remains compact relative to the mass of the rest of the plant. If the sentient plant gets root bound, it will violently force its way through most restrictive pots. Frankly, it’s not understood if mature specimens even require soil. Audrey II produces flower-like structures along its vining appendages. Once self-pollinated, the flowers themselves morph into wee-little Audrey IIs in a process that I will coin “Frankly-Laughable-Origin-Without-Explanation-of-Reproduction” or FLOWER. This process is similar to the Cobra Lily’s (Darlingtonia Californica) runners that branch from the main rhizome to sprout new plant clones. However, due to the pollination process, Audrey II offspring are not genetically identical clones. Seymour Krelborn first discovered the species at a local garden shop in 1960 (and then rediscovered it in 1986). Shortly after, he named the fascinating species in honor of his colleague and future wife, Audrey Fulquard. It is unknown how the plant arrived on earth, but it is hypothesized that it arrived on a space ship so massive that it blotted out the sun and caused an unanticipated solar eclipse. Audrey II thrived under Seymour’s care, and attracted fame and fortune to the flower shop where Seymour worked. Unfortunately, the plant’s bloodlust grew to insatiable levels as it matured. When it reached maturity, Audrey II attempted to reproduce. By doing so, the plant would advance to the next stage of its plans to consume all of humanity, but was stopped when Seymour electrocuted it to death. There is a theory that one or more of Audrey II’s offspring pods escaped the electrocution and are out in the wild, building up the strength required to properly conquer humanity. Audrey II is an invasive species to earth, originating “past the stars, and beyond the moon,” or about 490 light-years from Earth on Kepler-186f. If you had a Falcon Heavy Rocket, a cryostasis chamber, and were willing to leave behind everything you’ve ever known on Earth, you could check out Audrey II in its natural habitat where it is the dominant species. Otherwise, Audrey II can be purchased from local New York florists for a paltry $1.95, post-eclipse. Regular, well-drained potting mix will work for immature Audrey IIs. However, nutrient-rich soil will not quench the plant’s thirst for blood. Old coffee cans, drained plastic pots or glazed ceramics are ideal for a single immature plant. You’ll want to set these pots in water saucers to maintain soil moisture. Mature plants get very large, and will require 20+ gallon pots. Use distilled or reverse osmosis water. This can be inexpensively purchased in most grocery stores, or you can invest in a reverse osmosis (RO) filtration system that hooks up to a sink (bonus – this also provides great drinking water for humans and pets). Keep the plant in a water tray and fill this tray to maintain damp-to-wet soil year round. Maintain a lower water table by using a shallow water tray (1.5″-3″) as Audrey IIs don’t appreciate persistent waterlogged conditions. Audrey IIs enjoy partly sunny conditions and will do well in windowsills. Brighter conditions will promote red coloration in the traps, genotype-permitting. Probably the neatest part about owning an Audrey II! They’ll require your tender love and care and blood for the first few months. “Must be blood!..Must be fresh!” it will tell you. Start by pricking a finger with a needle and dropping a few droplets into an open Audrey II mouth. Remember to take daily multivitamins and keep your iron levels up for healthiest meals.As Audrey II matures, it will wean off of pure blood and onto more solid food. It requires extremely fresh meat, and will deploy its psychological lures in an attempt to convince you to feed it a human; “There must be someone you can eighty-six real quiet like, and get me some lunch!”As a great party trick, feed Audrey II your least-liked friends. Only blood and flesh will do. Transplant as the plant outgrows existing pots. While the root system is small relative to the rest of the plant, it will get root bound quickly, especially with regular feedings. Audrey II will sprout wee Audrey IIs from flowers produced at maturity. To damn all of humanity, lightly pluck these from the mother plant and pot them up individually in old coffee cans. The cutting technique has never been attempted on Audrey II for fear of the plant retaliating with force. It is unknown if Audrey II produces seed, as the primary method of reproduction happens via plant-sprouting FLOWERS (see above description). Not viable for tissue culture as young plants don’t take kindly to their tissue being sterilized and will, in retaliation, bite the hell out of you. 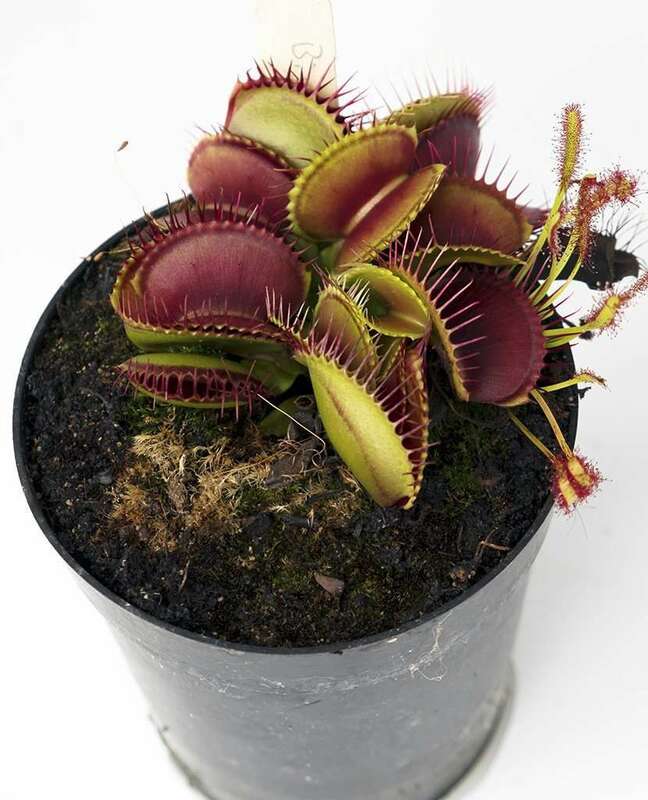 There are no known pests that negatively affect Audrey II. There is an adverse reaction when electricity is applied to the plant. They are highly tolerant of temperature fluctuations and brief freezes – while, presumably, Kepler-186f has liquid water, it is no tropical paradise. Ideally, they enjoy warm-temperate conditions with warm-to-hot summers and cold winters. Audrey II will thrive in temperate, warm-temperate, and Mediterranean-like climates wherever ample human food supplies are available. Audrey II does great in cold houses, cool houses, warm houses, and in human houses with access to house cats and children. Audrey II will quickly outgrow terrariums. Will thrive in sunny flowershop windowsills. 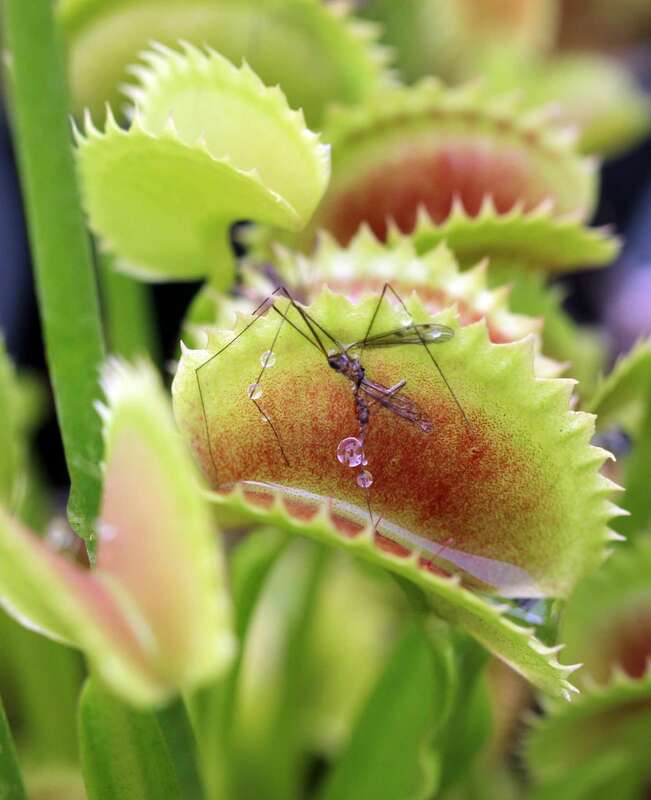 Decent candidates for bog gardens, Audrey II will keep pesky outdoor birds and stray cat populations at bay.